`You’ve come to the right place if you want some ideas for a fantastic fall party that glows in the dark! One of the most difficult parts of having a fall party is the weather can be sooooo unpredictable. Is it going to be warm enough to be outside, or are we stuck in the basement? No fear, these glow party ideas work both outside and inside! Whether you’re throwing a Halloween party, a party after a football game, a zombie party, or a birthday party these ideas are going to work! Check out some of my favorite fall glow in the dark party ideas! This post contains affiliate links. We earn a commission if you make a purchase. Paint yourself and your friends silly with this idea! While you can find glow in the dark sprays for your hair, they never glow all that well. This guy used glow in the dark body paint on his hair, and it seriously turned out pretty magical. Plus then it’s also safe to paint your skin with the body paint too! You and your squad need to give this a try with that black light. Whether you have your party outside or in, these black light rope lights will instantly set the scene! 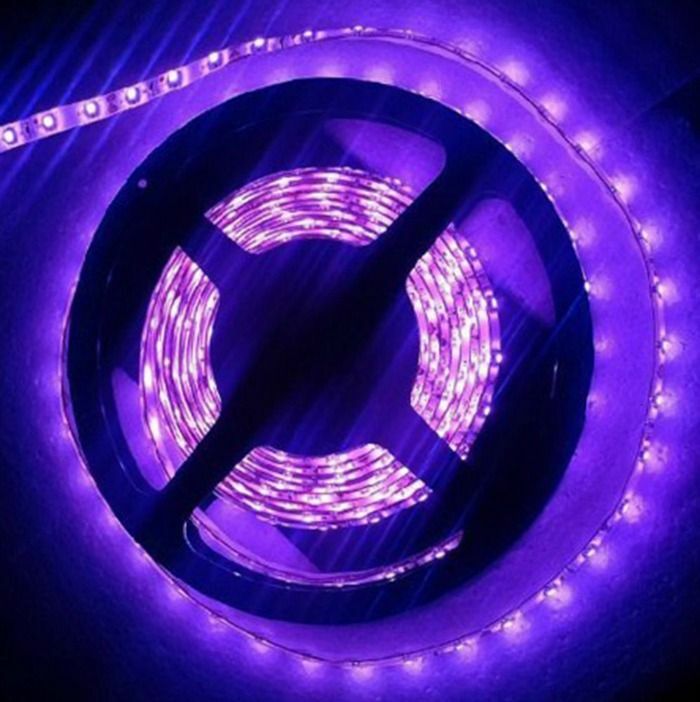 I like the idea of rope lights because they cover more space than a traditional black light and can make any neon colors. Ask your friends to wear neon colors (Some leggings glow well!) or white for maximum glowing! So what I love love LOVED most about these pumpkins is that you can use them as decorations for any time in fall. This DIY uses glow in the dark paint and fake pumpkins to get this cool glowing look. Wouldn’t these be fun with your school’s logo painted on them for a party after a football game? They’re also, of course, a fab idea for Halloween, because that’s obvi right? You can also buy a bunch of artificial little pumpkins and let your friends go to town decorating themselves. If your glow party is for Halloween, Zombies, or you just want to creep out your friends, then these glowing eyes should be on your list! Hide theses eyes in your bushes outside, or all around the room for a glow in the dark fall party that is inside. THIS! Ohh, this one is going to impress your friends in the best possible way! 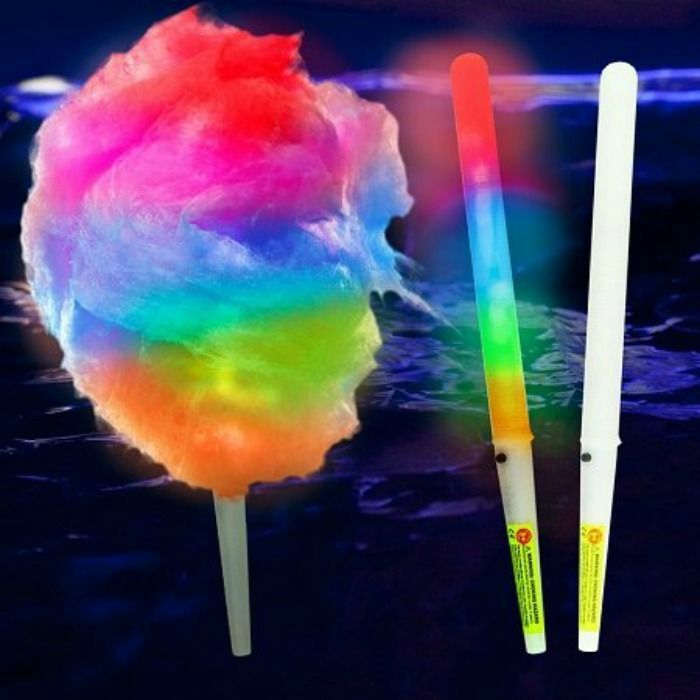 To make you own glow in the dark cotton candy you have to get your hands on a small cotton candy machine, some cotton candy sugar, and some glow batons. The rods can also be used more than once if you gently wipe them down (don’t submerge in water!) 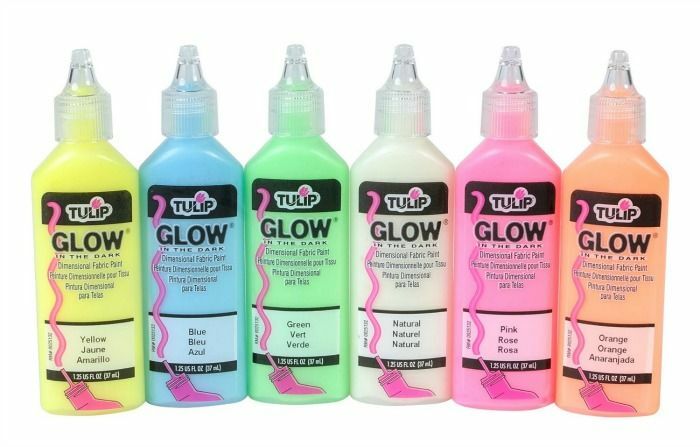 or could just be used for something else fun and glowy at your party! 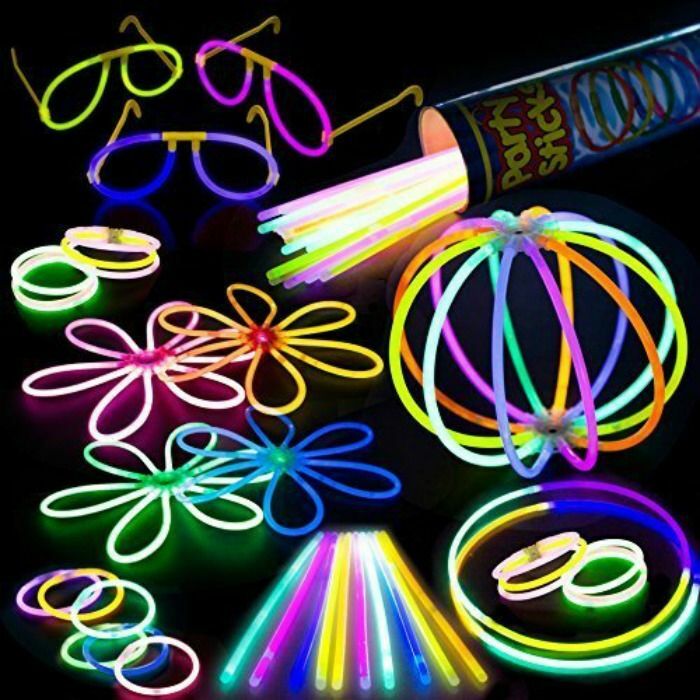 You can never have too many glow sticks at a glow in the dark party! You’re going to want to grab the big party pack that will get you started and your party off on the right foot. This starter kit helps set your party tone fast! You can’t have a party without something to quench your thirst. Why not up your game and make this fun glowing party drink! I love that you can add this mix to any drink you were already planning. I am all over adding tonic water to my punch, but the vitamin B also works if you’re keen. Don’t forget you need to have a few black lights nearby to make this one work! You’ll want some awesome glow in the dark party decorations to really pull your theme together! Since your party will mostly take place in the dark, you’ll need decor that either glows or stands out. Black Light Neon Decorating Kit– Comes with garland, paper swirls, and paper fans. Neon Fringe Doorway Fringe– Super cute if you’re planning to just have one “glow in the dark” room. Here is where I would usually tell you not to worry too much about party cups and plates. I usually just go with plain white paper plates, a simple solid-colored cup, and maybe some colorful utensils. At a glow-in-the-dark party, though, you want your guests to actually be able to see their food or find their cups again later! You still don’t have to go crazy, but you do want something a little more fun than the basics. Here are a few inexpensive ideas. Grab some cheap black cups along with glow-in-the-dark markers . Leave the markers out near the cups, and have your guests write their names and add little doodles to it before they fill it. Voila! Instantly cool party cups that don’t cost a fortune. Another cool option is to use clear cups and glow-in-the-dark drink recipes. You can turn just about any mocktail or beverage into one that glows by adding tonic water! Now you have party cups that also make pretty awesome decorations! For party plates, just grab some neon-colored plastic plates. You don’t have to go too crazy here. You can get a big party pack of them at Party City for under $10. Grab these black light neon dessert plates to add an extra touch. LED neon balloons – Grab this 30 pack of LED balloons and place them in bunches at strategic locations. Neon Flamingos – Want to add a punch of humor to your glow in the dark party? These will do the trick! Neon Hibiscus Luminaries – These are cute if you’re having a luau-themed glow party! You’ll also definitely want to get at least a few black-light bulbs to scatter around! Just replace your regular bulbs with them! If you’re having your party outdoors, I highly recommend getting a party tent! You can find them in just about any size to fit every budget. Below are a couple that I recommend. Here’s tip: go with the best tent that you can afford. This is an investment, especially if you host a lot of parties! If you get a really great one now, it will last you years. Basic white is fine, you can always add streamers or fabric inside to change the look for each party. Glow in the dark necklaces – an absolute must! Give them out as guests arrive. Neon cookies or candy– You can either bake cookies yourself using neon icing, or just buy some fun neon candy ! Light up flashing rings – another great item to give out as guests arrive! Neon nail polish – this one is perfect for the girls! Follow these tips and plan on playing a few of our favorite glow in the dark party games, and your bash will be a huge hit! Remember, the most important thing is to just have fun! Have you played any of these games? What are your favorite party games to play in the dark? Tell us all about it! So lovelies, what kind of glow in the dark party are you thinking about throwing this fall? Tell me your favorite ideas down in the comments!